Inspired by the movement of faceted light, the Axis Collection is both elegant and distinctive. Combining fine metal work with subtle enamel accents. 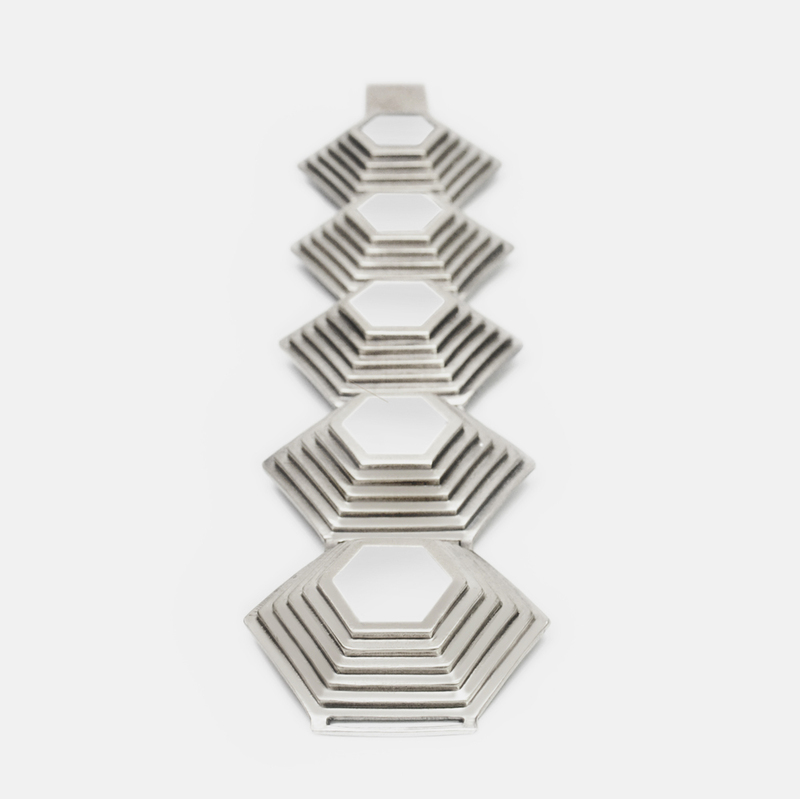 The Axis Link Bracelet is a sculptural interpretation of the hexagon with clean, geometrical lines. Available in Sterling Silver or Brushed Bronze with your choice of inlay color. Choose from a soft palette of Salt White or Jet Black. 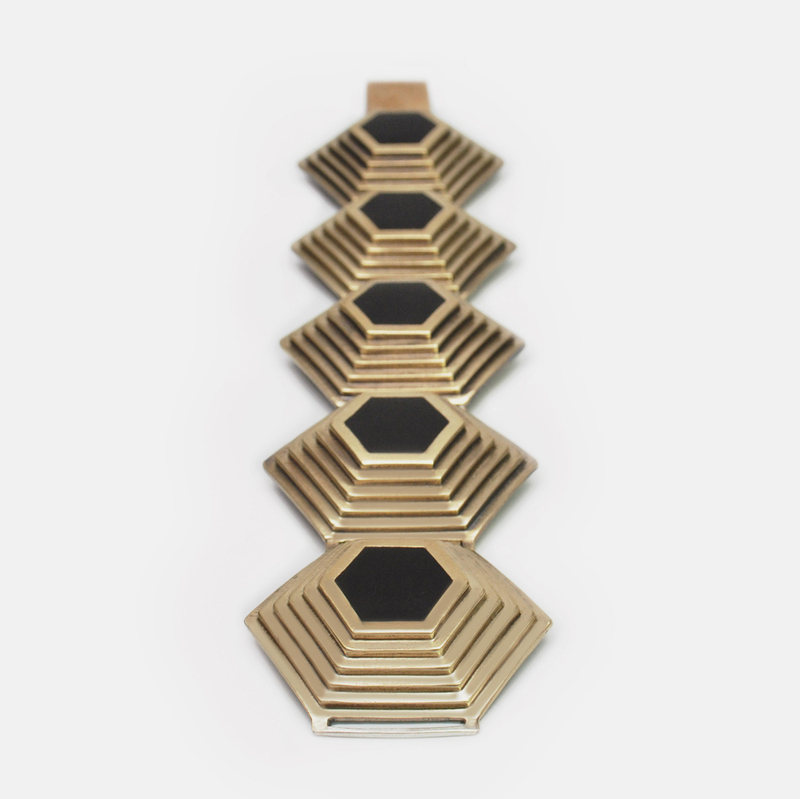 Each cuff is thoughtfully crafted by Marisa Lomonaco Jewelry in Beacon, NY.